Hey everyone! I have a couple of things I want to share with you today. First, the winner of my Artisan Treasure Hunt prize is Wendy Diem. Congratulations Wendy! Watch for an email from me soon so I can send you the super cute All Boxed Up Kit. The next thing I have to share with you is my project for the latest TGIF Challenge. I know, it is Monday and I'm a little late in sharing this with you. I still wanted to share because you can still enter the challenge! 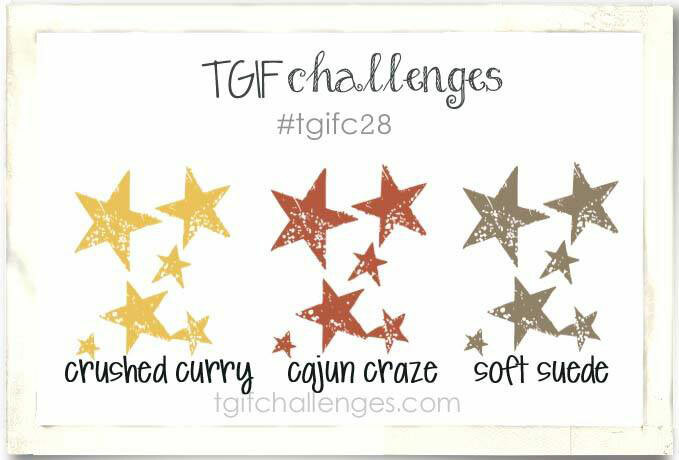 This week we have an autumn color challenge of Soft Suede, Crushed Curry, and Cajun Craze. For me these colors called for a leaf stamp set. There was only one problem, I don't have a leaf stamp set. So I took a look at my stamp sets and discovered that the Garden in Bloom Set would be perfect. That is right! I used a floral stamp set to create an autumn card! The two different sized leaves were perfect for this card and color challenge. 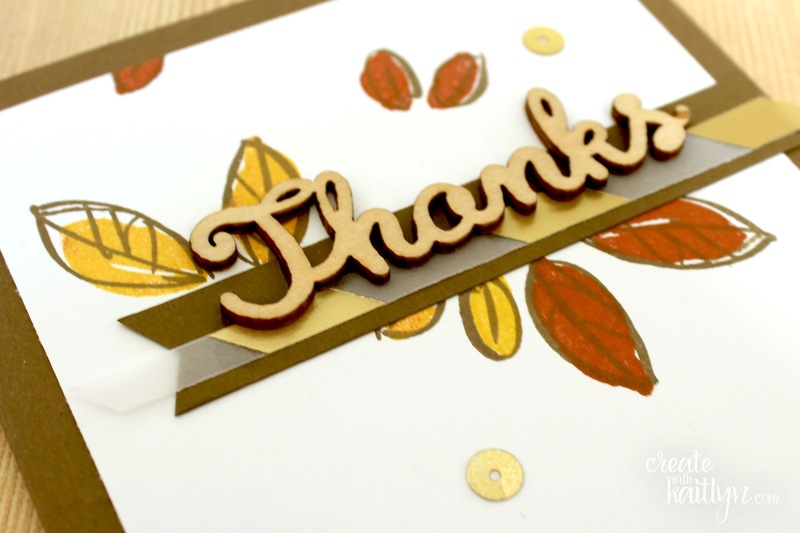 The "Thanks" from the Expressions Natural Elements was a perfect focal point to put my leaves around. Some touches of gold add a little bit more fun to the card. Use the Artisan button below to find out the other winners of the treasure hunt and click on the challenge photo to take on the challenge yourself! I love this! I tend to look at that stamp set with bright or pastel glasses. Thanks for the alternative vision!